I got a fever, and the only prescription is more Deathwing! You all may remember, and may even have shared similar sentiments, that before the release of Cataclysm, one of my absolutely most anticipated aspect of the expansion was the idea of a very present villain. Back in November, we got word from Zarhym that Deathwing would not only shatter the Azeroth that we loved, but also would patrol the skies freely, inflicting pain and death upon all who dared walk upon his kingdom. And yes, he sure does that, randomly but also uncommonly and only in certain zones. But it’s something that happens so rarely that there’s never that constant feeling of looking behind your back or searching the skies to ensure you’re alone. And I’m not insinuating that this should be a very common occurence – after all, that would take away from its specialness, plus it could have the potential to become somewhat of an annoyance if it was a constant issue. But at the same time, the current level isn’t one that instills any sort of sense of suspense that I was hoping the expansion would include. On the other hand, questing through the new Cataclysm content, for me, has been a much more fulfilling experience than questing in the past. There’s overarching storylines that have drawn me in, plus the added cinematics and a much more felt presence of Deathwing. He and his dragonflight are heavily involved in the lore, and that’s something that I have really appreciated. But I suppose it’s the empty feeling outside of that questing that has got me yearning for more. After experiencing those areas that were so much fun, the rest is almost disappointing in comparison. So, what’s the solution? Perhaps a combination of things. In my eyes, it really is upon completing questing that players start feeling this way. If it could be done without issue, I would think that players in the final, post-questing phase of a zone should experience flyovers more often. But not just fly-overs. It may be something that WoW has only initiated in special occasions in the past, but I really think the world should enter full-on event mode once there’s no more quests in an area. 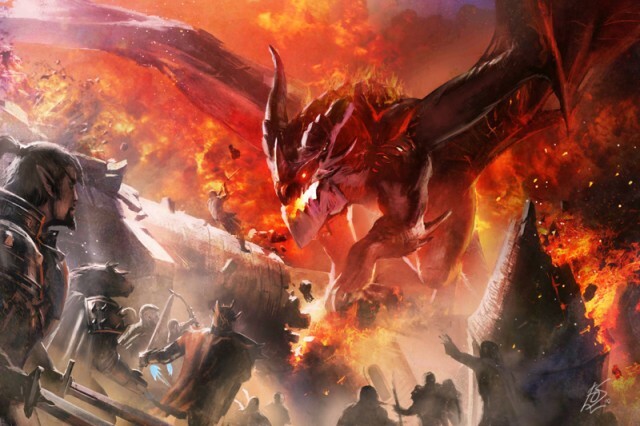 Have something there to keep players interested — be it black dragons who swoop in on a timer, elementals taking over a town, fires spreading from the sundering or cultists who appear in waves to wipe out those who would stand against their master. And it doesn’t have to be something that automatically kills you each time, like Deathwing’s flyovers. Something more subtle or that takes some actual coordination to live through would be splendid. I know I’m asking a lot, especially since this is a departure from what WoW has been about up until now. But I know Blizzard has the manpower and the creativity to bring something really special to the plate. I very much doubt it will be anything like what I’ve described here. But I hope that something is presented that brings players, and a bunch of my friends, back to the game. WoW just isn’t the same withouot them. What do you think would drive players to show interest in WoW again? Do you think the recent drop in subscribers is just one of the regular ebbs in player interest that will come back after some temporary downtime? Or do you think it represents a waning of interest in the game in general? Sounds like someone might wanna back away from Rift for a tad bit. This is the only thing I regret about quitting WoW; Never getting killed by standing in Deathwings fire. I have one suggestion that would make this game better. ADD RIFT LIKE INVASIONS. Yea so RIFT already did it… So many games have “borrowed” stuff from WoW, why cant blizzard do the same? If not rifts, then at least more world events where people automatically join a public raid group to compete a common objective. I actually haven’t played Rift — and they also weren’t the first to come up with the idea — but as noted in the post I see the draw in these kind of spontaneous events. When Blizzard did something similar for the elemental invasion, and before that the zombie invasion, it seemed to spark a lot of excitement and interest. Not to mention good publicity from some serious buzz. Why not extend that into something more permanent? Here’s the problem with it (and I’ve already read about it not to mention heard it from Rift players themselves) and that’s this: eventually the uncommon becomes common. Meaning Rifts have very little meaning aside from ‘oh Lord, here we go again..dammit, I was busy trying to turn in this quest!”) from what I’ve heard from returning players. Granted, there are still players that enjoy it. Blizzard said it themselves recently. They made Arthas WAY too cartoony with him popping up everywhere in Wrath and have tried going the other way (more than likely a bit too much) with Deathwing in Cata. They’re really trying to find a good line to toe to satisfy the majority of us and I appreciate that. Just remember, when players finally got to Arthas, he wasn’t scary anymore. He was just a goal. IMO, Deathwing still scares me helmless because you NEVER know when he’ll pop up. I have to disagree and agree that Arthas came up in WoTLK questing to much. I think there should always be something related to the main character of the expansion that drives the people in the game who love the lore to think of the raid in which you kill the main character as something other than a weekly farm of gear that majorly brakes the lore, but many of the uses of Arthas were not executed correctly. For example when he showed up for one of the first Howling Fijord quests his being there was basically without point and I can’t even remember if there was any explanation as to why he was in a quest about Yimiron and the eventual birth of the Humans race in the game. I got Loremaster on both factions before cata and I still love the lore, but I am rather dissapointed that Blizz keeps choosing gameplay over story in pretty much every situation, and the gameplay and game systems are also waning in quality in my opinion.